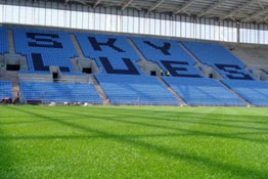 Starting this year, the Wasps and Coventry City will play on the hybrid system XtraGrass. XtraGrass is a natural grass turf reinforced with artificial fibres to give a winning formula of great natural grass playability and a surface that is much more resistant to wear. Developed and refined over the last 10 years, XtraGrass is a unique and patented turf reinforcement system which provides the flexibility to adapt to the unique differences that exist at every location. 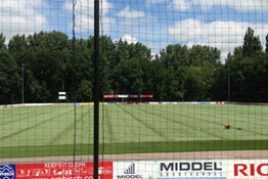 Dutch football club, Vitesse, has chosen XtraGrass at its home stadium, the GelreDome, as well as at its Papendal training facility. The prestigious Arhnem club came fifth in the 2014-15 Dutch Eredivisie. Green playing surface 365 days per year. Once installed, XtraGrass costs no more than a standard grass pitch to maintain. By comparison, some other turf reinforcement systems need an intensive maintenance and fertilisation regime, significantly increasing on-going input and labour costs. 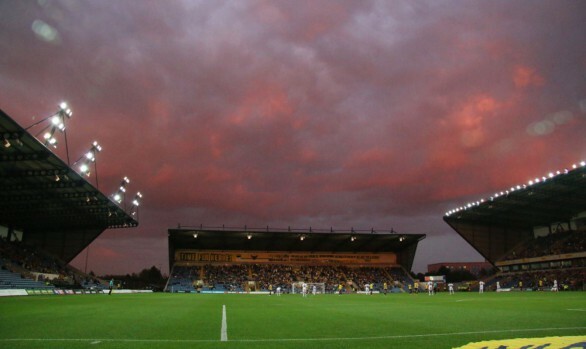 Kassam Stadium, home of Oxford United Football Club and London Welsh Rugby Club. pick XtraGrass as the second club in the UK that will play on the hybrid system. XtraGrass is a natural grass turf reinforced with artificial fibres to give a winning formula of great natural grass playability and a surface that is much more resistant to wear. Developed and refined over the last 10 years, XtraGrass is a unique and patented turf reinforcement system which provides the flexibility to adapt to the unique differences that exist at every location. Hybrid turf is the perfect solution for clubs that find it difficult to maintain a natural grass pitch but do not want, or are not permitted, to play on a 100% artificial turf pitch. 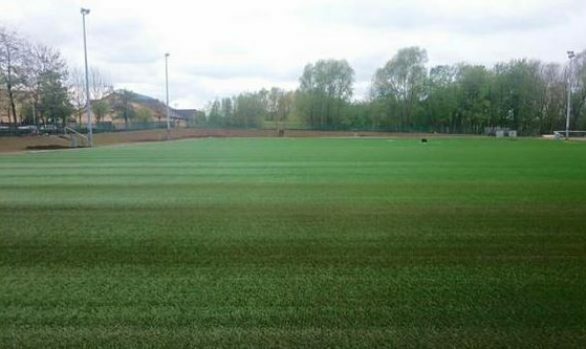 The XtraGrass hybrid turf system can be easily installed on site, requiring only standard pitch installation equipment and utilising a high proportion of local labour. 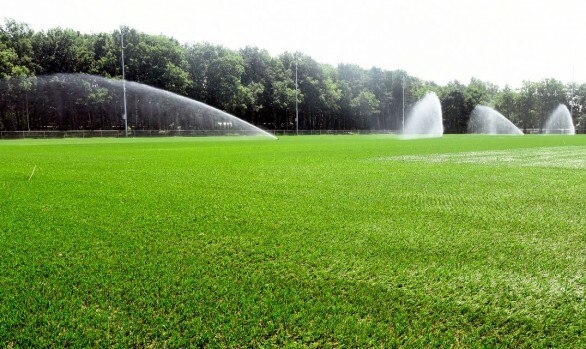 It typically takes the same length of time to install as a standard grass pitch. However, for those clubs in a hurry, XtraGrass is also grown offsite and can be playable within days of installation. This has enormous advantages for clubs who need to partially or completely re-turf their pitch mid season. The integration of the best performance characteristics from both natural and synthetic turf provides a higher quality, year round playing surface designed for heavily used stadium, practice and recreational facilities. 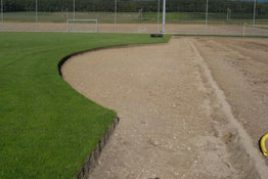 XtraGrass™ can be installed in situ or as pre-grown turf in big rolls.This enables the system to be used for new constructions as well as in emergency situations. When tight time restraints have to be met the big roll XtraGrass turf is the ideal solution for a hybrid pitch playable within days after installation. XtraGrass’ high wear tolerance in combination with excellent test results for player’s grip or traction make the product suitable for use in a stadium environment. Due to it’s high wear tolerance the XtraGrass system is extremely fit for use on training pitches for professional use as well as community use. XtraGrass is the ideal system to add strength to high wear areas as goal mouths, linesman runs, centre of the pitches and for example golf tee’s. Xtragrass offers a selected network of partners across the globe., These partners understand how to provide turnkey solutions for your individual needs. Our personal approach ensures we provide the highest quality based on stringent standards adapted to local conditions, followed by a professional after sales support service. Combining this with our specialised maintenance service Xtragrass is committed in assisting you with a ‘one stop shop’ approach. "We play our home matches on XtraGrass and we train on XtraGrass"
With over 25 years in grounds work, this has to be one of the best pitches at this moment in time. XtraGrass is maintained in the exact same way as a standard grass pitch, with the added bonus of less divots to replace after pitch use. The pitch looks great and plays quick, with no divots. It's a great surface overall and the players love it - now we just need to see how it performs in the winter months when the XtraGrass will come into play. Our goal going into the season was to get home field throughout the playoffs just so we could play on this field. The XtraGrass pitch is the best field we've ever played on. It played so true. Thank you so much for the field. It played so smooth and true I felt it helped us play better. It's one of the only fields that you don't have to worry about the condition of the field being a factor. 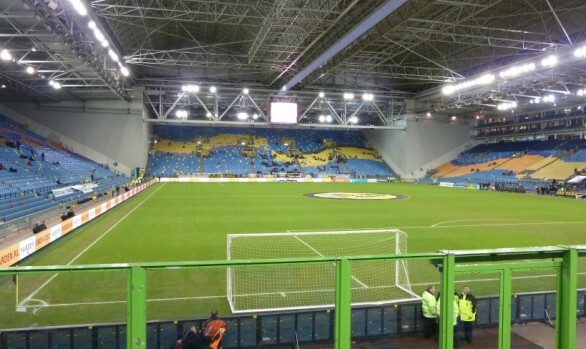 "We are very satisifed with the quality and playability of XtraGrass at Vitesse GelreDome Stadium"
We are very pleased with how the pitch played on Saturday. We knew it was good for football, we knew it was good for 7’s, and we were confident it was good for running rugby; what we didn’t know was how it would hold up to that first scrum. But it was rock solid and every scrum was completed without a hitch. We could easily have played football on it on Sunday. I thought the pitch was outstanding and I know Dai and the boys now feel we have the best pitch in the Premiership. Many thanks. We’ll need to sit down and talk about the pitch at the Training Centre in the not too distant future. 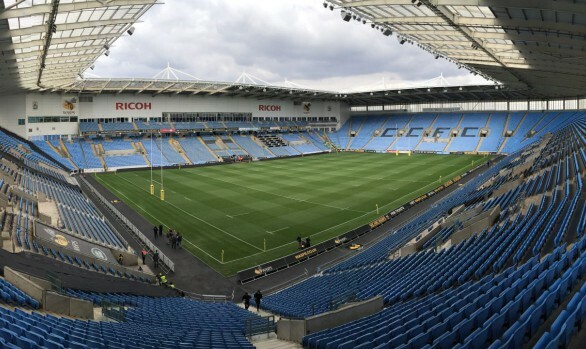 In comparison to last season's pitch at the Ricoh Arena, the new XtraGrass hybrid surface is performing with remarkable results for the amount of usage in a multi-purpose venue. The pitch speaks for itself now. Are you interested in how our systems can service your athletic needs? Contact us now so we can tell you all about our XtraGrass Hybrid Turf!